A name that was very common in the 12th and 13th centuries, Amabel is a rarity today. It was revived during the 19th century when a medieval fad swept through England. Amabel is the feminization of the Late Latin male name "Amabilis" who was a Saint in the 5th century in France. 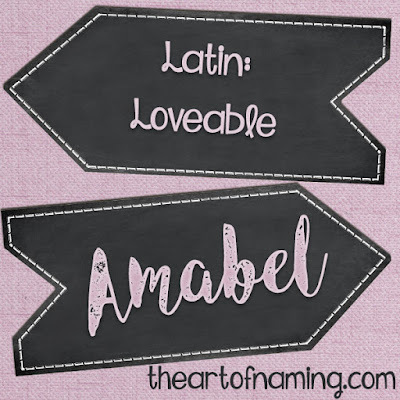 Amabel is a much older name than the popular Annabel. However, its shortened form Mabel has had much more popularity in recent times. Amabel (and Mabel) mean "Loveable" in Latin which may appeal to parents who have high regard for name meanings. This distinctive name would be adorable on a modern day baby girl. It fits right in with other old-fashioned names that are seeing a strong revival, as well as the popular -bel/-belle names. However, Amabel is much more unique (even though it feels familiar) because it has never once ranked on the US Top 1000. As of 2013, there has been a total of 98 girls named Amabel on record since 1880. 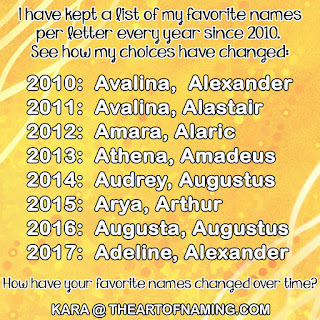 There were only 10 girls named Amabel in 2013 for a ranking of #10,209 which is very far from being the most popular name in the country. Revision: A few more girls were named Amabel since the previous stats were recent. There were 9 births in 2016 putting our grand total at 120. If Amabel is too different for your tastes, Mabel is an adorable alternative to consider. A huge hit in the late 1800's and early 1900's, Mabel hit its highest ranking of #15 in 1891. It remained in the double-digits until it steadily declined starting in the 1920's. As of 2013, Mabel has jumped back onto the Top 1000 chart for the first time since 1964. Now considered vintage-chic, Mabel ranked at #707 in 2013. Revision: Mabel was #513 in 2016, which means it is gaining more popularity.